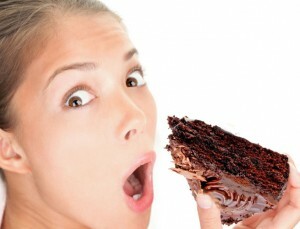 Abiding In His Presence: What Was God Thinking....Cravings, Really?? What Was God Thinking....Cravings, Really?? Ok....so I'm reading this book called "Made To Crave" by Lysa Terkeurst. A good friend of mine (thanks Ellen) told me about this book she was reading and suggested I read it. I'm glad she did. My plan is to give you my thoughts as I read thru this book in hopes that you will find encouragement and maybe even pick the book up yourself to read. I use to pick up books like this and think to myself..."Really, you (meaning the author) have NO idea what my life is like inside this body....so I'll read you, and I may be able to take a small tidbit of info from it into my life...if I'm lucky!". Probably not a great way to start a book, right? Either way...lets get into this book and see what we find. So we start out with the intro that takes us to Matt. 19:21 where Jesus is telling the rich young ruler to go and sell all that he has and then he can follow Jesus. Lysa takes us to another view on this passage that I think hits it right on the nail....Jesus isn't talking just about "riches" in the sense of money...but the riches that captivate our souls!! Can you see it....I can, I was able to immediately vision my own riches: food, TV cooking shows, and many more riches that have captivated my heart. What are your own "riches" that come to your mind? What is God bringing to your mind that you need to see as "riches" that are coming between you and the closeness you desire with God? As Lysa Terkeurst puts it..."If we want to truly get close to God, we'll have to distance ourselves from other things." Things that God views as worldly riches, not necessarily bad...but are keeping us from the intimacy we need to have with our Heavenly Father. I'll get back with you later with more on this book or...pick up the book yourself and let me know what you get from it!